Tilebacker boards and shower trays enable bathrooms and wetrooms to be installed on suspended timber floors as well as concrete floors with pre-machined falls to drain and a surface that is ready to be tiled. 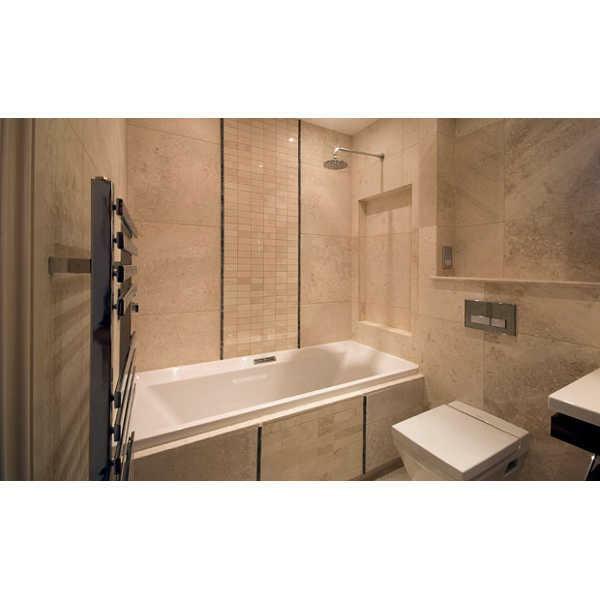 With a range of Raised and Level Access kits a complete continental solution for tiled wetrooms is provided. In installations with concrete floors or difficult waste pipe routes the Raised Kits provide a simple solution. A pre-machined platform is provided into which the drain and pipework is installed. The Level Access kit enables you to produce a 'step free' wetroom with the total floor being lined in our waterproof insulating material. This floor detail is a perfect base for the inclusion of electrical underfloor heating into your new wetroom giving that extra touch of comfort.